If you snore loudly enough to keep your sleeping partner awake or to force him or her to resort to earplugs, your heart may be at risk as well. 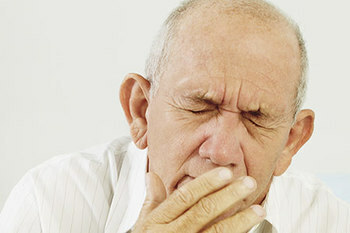 Restricted breathing during sleep — the underlying cause of snoring — is linked with all types of cardiovascular disease. Sleep apnea, in which breathing briefly stops during sleep, is linked with a higher risk of both cardiovascular disease and heart attack. What to do: Any sleep-related breathing problem is a clue that something’s wrong, so call the doctor. She may recommend a sleep study, but get your heart checked out too. Sore, swollen, or bleeding gums are symptoms not only of periodontal disease — in which exposure to bacteria causes the gums to become inflamed and pull away from the teeth — but also a possible early sign of underlying cardiovascular disease. Why it happens: Experts believe that poor circulation due to heart disease could be an underlying cause of periodontal disease. Researchers are also studying whether a common bacteria is involved in both gum disease and plaque buildup inside coronary arteries. 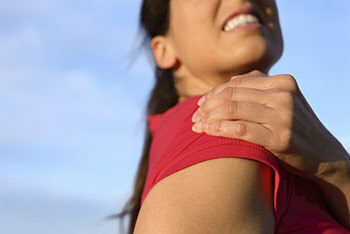 The link may also have something to do with the body’s response to prolonged inflammation. Why it happens: Fluid retention occurs when the heart doesn’t pump strongly enough and blood doesn’t carry waste products away from tissues. Edema usually starts in the feet, ankles, fingers, hands, and legs because they’re furthest from the heart, where circulation is poorer. 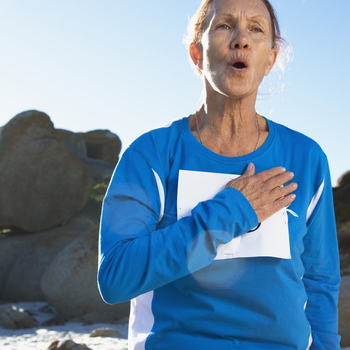 The most common symptom of coronary artery disease (CAD) is angina, a type of chest pain. Angina (officially called angina pectoris) is different from the sharp clutching pain of a heart attack; it’s likely to feel like a deep ache or a constriction or weight on the chest, and it may worsen when you draw in a breath. One of the reasons angina is often missed is that it feels different to different people; to some it’s more of a heaviness, fullness, or pressure rather than pain. It can also be mistaken for indigestion or heartburn when the pain occurs lower down in the abdominal area. The tightness, constriction, or pain may also occur in the shoulder, neck, jaw, arm, or upper back, where it may be mistaken for a pulled muscle. A tip-off to angina versus a pulled muscle or gastrointestinal problem is that you’re likely to experience the problem repeatedly rather than to have one isolated or prolonged episode. What to do: If you’re diagnosed with angina, your doctor will recommend resting when episodes occur; or she may prescribe nitroglycerin, which relaxes the coronary arteries and other blood vessels, increasing blood supply to the heart and easing its workload. An early sign that something is wrong with a major bodily system is shortness of breath, typically with exercise, exertion, and stress. (Typically, shortness of breath indicates either early-stage heart disease or early-stage lung disease, and it’s not possible to know which it is without seeing a doctor.) It may feel like you can’t catch your breath, or you may notice a feeling of compression in the chest and lungs, making it difficult to take a deep breath. Another breathing symptom of poor circulation may be labored breathing, which occurs when fluid accumulates in the lungs. If you notice that your breathing problems are worse at night or anytime you lie down, that can also indicate a heart problem. Scary stat: In a landmark study by the National Institutes of Health (NIH) published in Circulation: Journal of the American Heart Institute, 95 percent of women who’d had heart attacks reported experiencing unusual symptoms in the weeks and months before the attack, and 40 percent reported shortness of breath. Why it happens: When your heart isn’t pumping strongly enough, less oxygen circulates in your blood. The result is shortness of breath; you might feel like you do at high altitude or when you’ve run for the bus, unable to draw enough oxygen into your lungs.